The $150 bln media giant is squawking over Nielsen figures that show fewer households getting its ESPN sports network. Investors already are worried that the company’s biggest business may be challenged. One way to combat confusion would be for Disney to release some data itself. Digital Center 2, a new 194,000 sq. ft building on the ESPN campus in Bristol, Connecticut May 22, 2014 will be the new home of SportsCenter beginning June 2014. Audience-measurement firm Nielsen on Nov. 4 reaffirmed a report it issued about the number of U.S. pay-TV customers after it was challenged by Walt Disney-owned sports network ESPN. In a statement on Oct. 29, ESPN said the Nielsen figures "represent a dramatic, unexplainable variation over prior months' reporting affecting all cable networks. We raised the issue with Nielsen in light of their demonstrated failures over the years to accurately provide subscriber data." Citing Nielsen numbers, which only are provided to its clients, research outfit Pivotal said ESPN reached 3.1 percent fewer households in November compared to a year earlier, for a total of about 89 million. 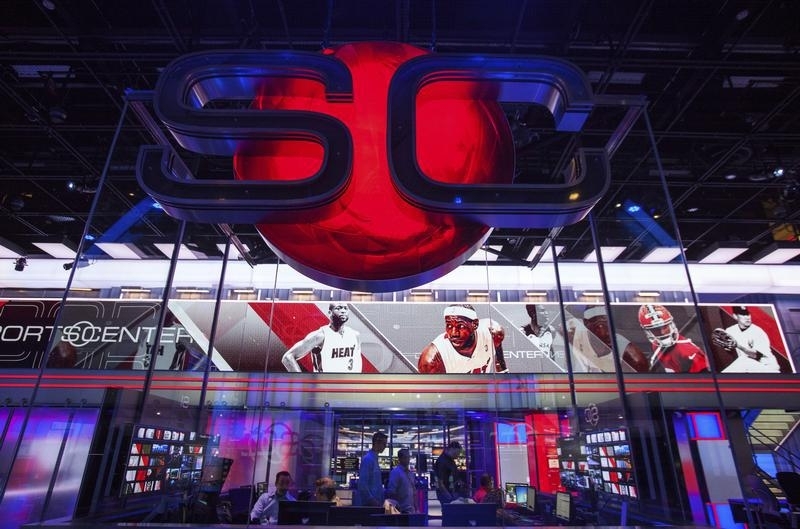 Sports news blog Outkick the Coverage said ESPN reached 621,000 fewer households in November than October. Nielsen estimates apply only to households with traditional cable and satellite services, not new video-streaming products such as Dish Network's Sling TV. Disney plans to report quarterly financial results on Nov. 10.